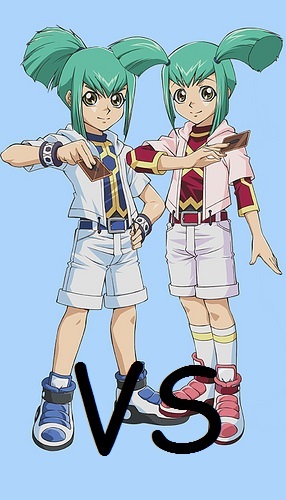 Ok so aside the gouging of the yugioh format, this is what I originally intended to post today. Anyway, a lot happened to me since I opened that Crimson Moon’s Fairytale box. Between major life concerns and substantial schoolwork I was incapable of actually blogging about anything I did. For that reason I’m jamming all the things I recently did into this one post. This draft was among students at my school. I drafted RG Landfall with not enough on either the high end or low end to be consistent. I got the most value from Scythe Leopard and Snapping Gnarlid. I never managed to cast Omnath sadly. I took game 1 with the cheap landfall guys, but lost games 2 & 3 when I didn’t open them. I once again won game 1 off the cheap landfall dudes, but lost games 2 & 3 when they didn’t show up (quite the theme here). I actually won this round 2-0. A combination of actually getting out the mid-range landfall guys allowed me to not get blown out. I don’t plan to draft or open much more BFZ after this honestly. As of right now the set has very little value outside of the Expedition Lands and Gideon. Even the great Ulamog is teetering toward $10. That being said this was a fun set overall and a pretty good draft format. So unforeseen circumstances led to me not being able to attend the main event and I only wound up entering a side event. I made quick edits to my Nekroz (pretty much just adding Performage monsters). Major editions were Trapeze Magician, Norden and Trish. I only used the second row during the event. I never expected to play against this deck. 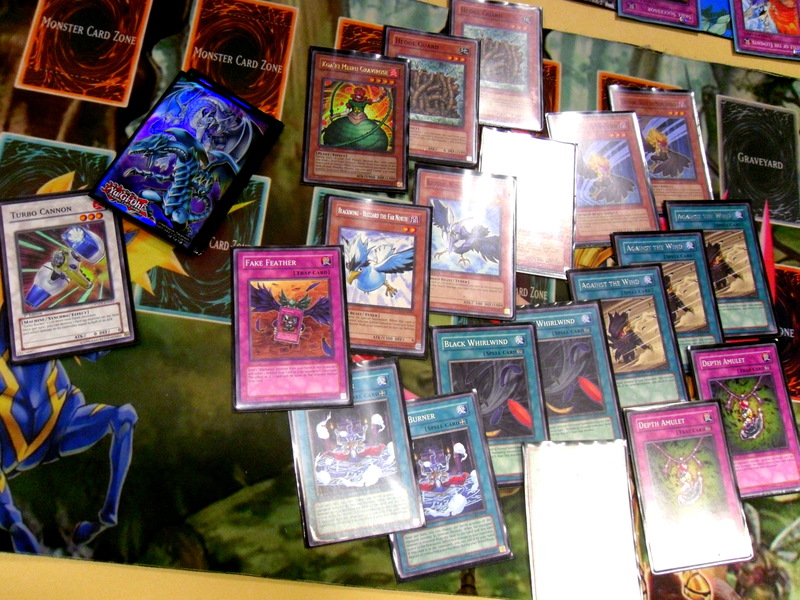 It’s a very old school deck of Thunder monsters that can attack directly and get effects after they do so. I was too spooked during this match also. I Valked’ multiple of his Wattgiraffe attacks and blew threw him Game 1. In the second game I sided in Decree (which I never drew). Once again I blocked his Giraffe attacks with Valk and eventually forced my way through Lose 1 Turn to win. 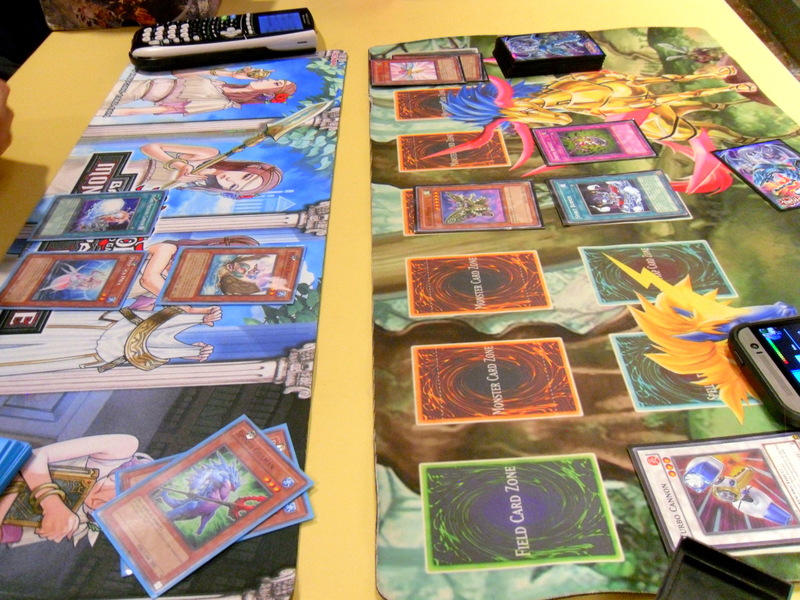 My opponent was the typical quiet brooding Yugioh player. I could tell he was a good player, but Watts just aren’t equipped to fight Nekroz even with Lose 1 Turn. Game 1 my opponent burned through all of their resources as I Valked’ his Farmgirl attacks. I pretty much beat him down with Performage guys honestly. Game 2 Decree stomped his Mind Crush and put an end to his Storming Mirror Force. However, he brought out Kozmo Forerunner and I had never fought against this card before (or at least if I did I don’t recall). This card is absurd. It can’t be targeted! I outed it with the bizarre play of an attack position Gagaga Cowboy running it over. From there he couldn’t survive Cowboy alongside Clowns just attacking him repeatedly. My opponent had almost an entirely secret rare deck (outside of the Kozmos themselves). I didn’t care much for him as he tried to cheat one of my friends in their match round 1 (because Solemn Warning totally doesn’t kill Juragedo), so I was very glad to have thrashed him. So we had a great back and forth game 1. I lost due to MSTing the wrong set card after he searched Void Trap Hole. It was really amazing that he survived getting Trished’ though. So I lost to a kind friendly Yugioh player running an innovative deck. The simple fact that I can say that makes it all ok. I had a blast playing against this guy and I wasn’t even mad in defeat. It was just really satisfying to come home after a midterm to find a pile of MTG cards in my mailbox that I didn’t have to pay for. 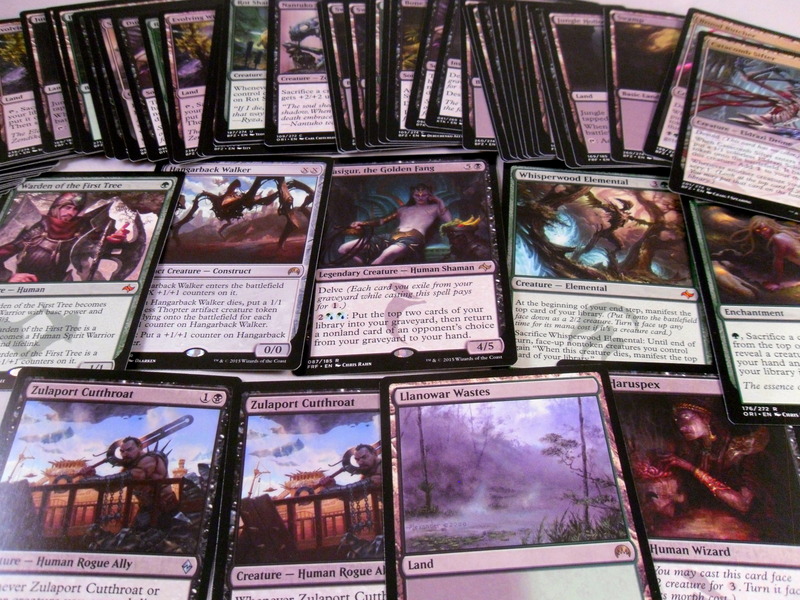 I had a foil Muzzio, Visionary Architect which I converted into a huge amount of Puca-points 2 weeks ago. This led to a pile of new cards for my Omnath Locus of Rage and Bruna, Light of Alabaster EDH decks. Also I didn’t ask for the Ambush Krotig, one of the guys just spent me a foil one to be cool. I wish I had a better picture, but yeah I got a copy of Nameless Girl (the last Grimm Cluster J-Ruler I really liked). I want to make some kind of destroy all humans deck with her as the leader. Still that’s a goal for another day. Battle for Zendikar is a very fun money pit. 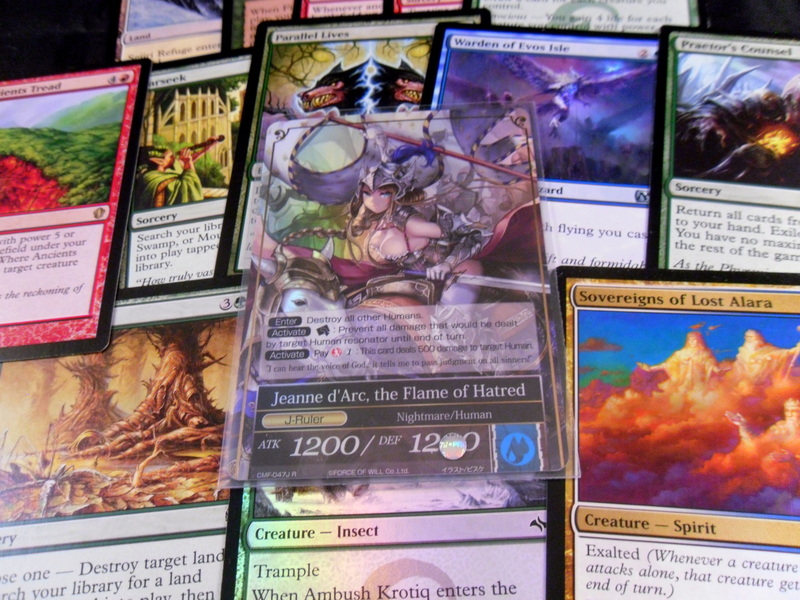 Over-opening of the set has obliterated the overall value of every non-expedition card. Sure the few worth cards are very expensive, but the vast majority of the cards are sadly worthless. 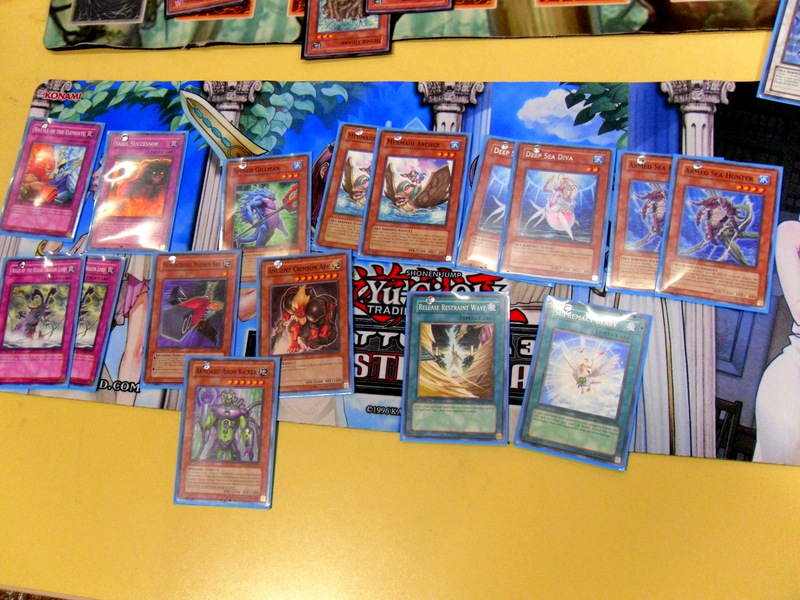 It was nice to know I got to use my Nekroz deck at an event before it’s death as a result of the new banlist. I wish I got to use it more at it’s full strength, but it is what it is. PucaTrade is awesome and if you’re really into Mtg I don’t see why you aren’t using it. A least we’re starting off with a healthy ban. Towers is the most powerful boss monster in this game’s history (yeah I’d go that far) due to its built in defense to effects, its minus 500 Atk passive effect and its ability to make the opponent go minus each turn. 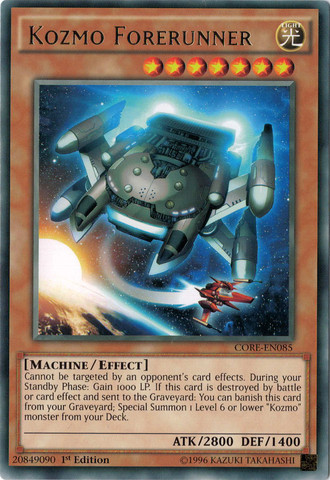 ARG had the right call banning this eyesore and I’m glad Konami followed suit. I was prepared to lose Brio, and Unicore, but I never thought they’d take away Shurit. He’s actually the best card in the entire deck. Shurit single-handedly overcame the negative aspect of ritual summoning. He made all ritual spells neutral if not a plus for the Nekroz player. Now with Shurit gone, I’m not sure Nekroz works anymore. 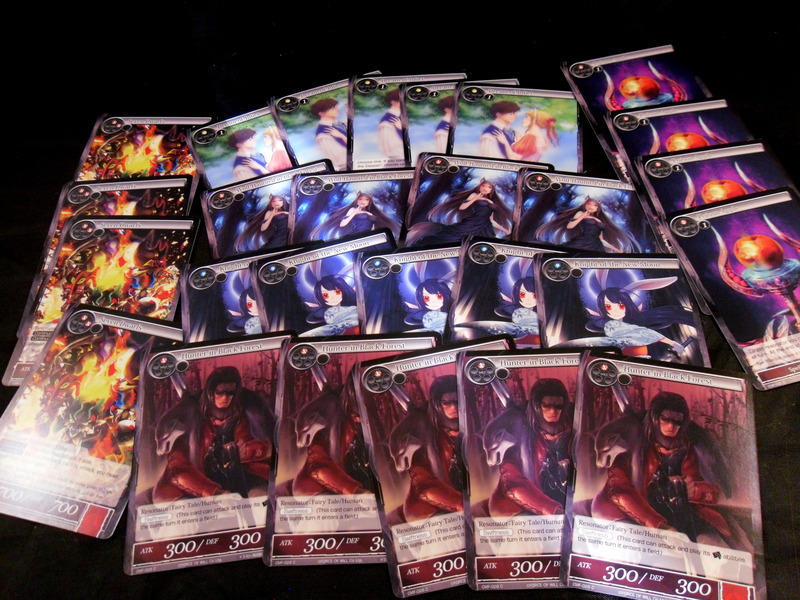 I’m sure somehow the community will keep the deck alive, but as of right now I’m cradling my bleeding deck crying. We all saw this hit coming. Construct has too many effects. 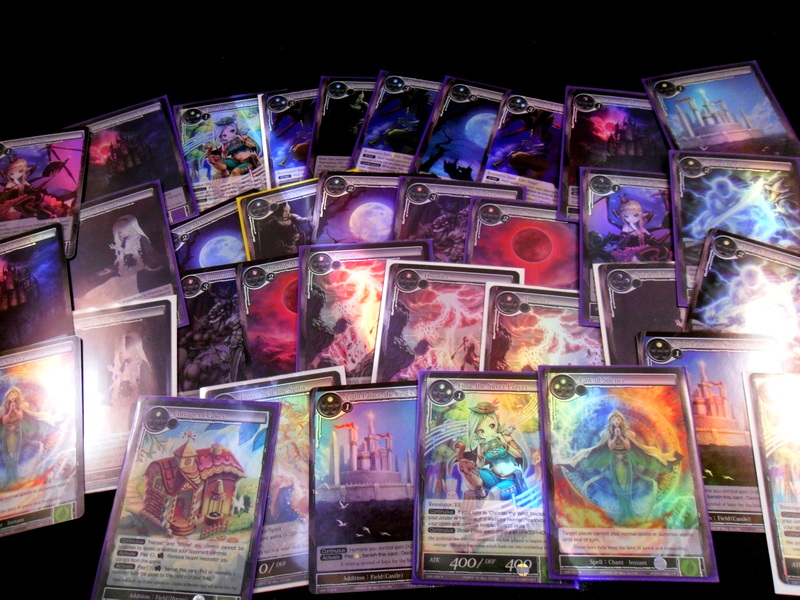 However, as much as I loathe the card I’m sad to see Construct go. 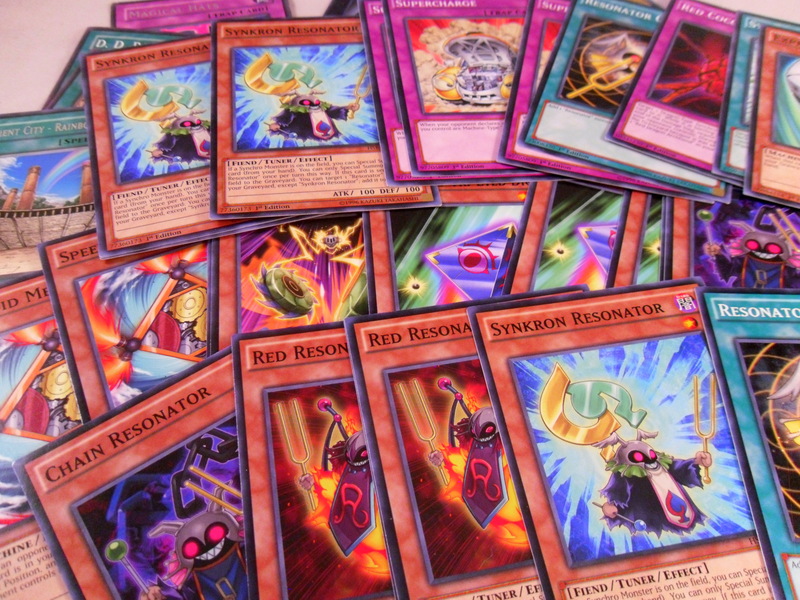 Shaddolls are one of the most skillful decks in recent Yugioh history. Despite being overpowered with a myriad of great effects, the deck is essentially to fusion summoning what Nekroz is to ritual summoning. A innovation to the summoning method and an improvement to the mechanic. It’s a shame to see the deck possibly die here. You know what? Exciton didn’t deserve to go. He’s arguably the best Rank 4 monster ever printed (sorry Castel) and he’s what I think is a healthy defense to “playing badly”. 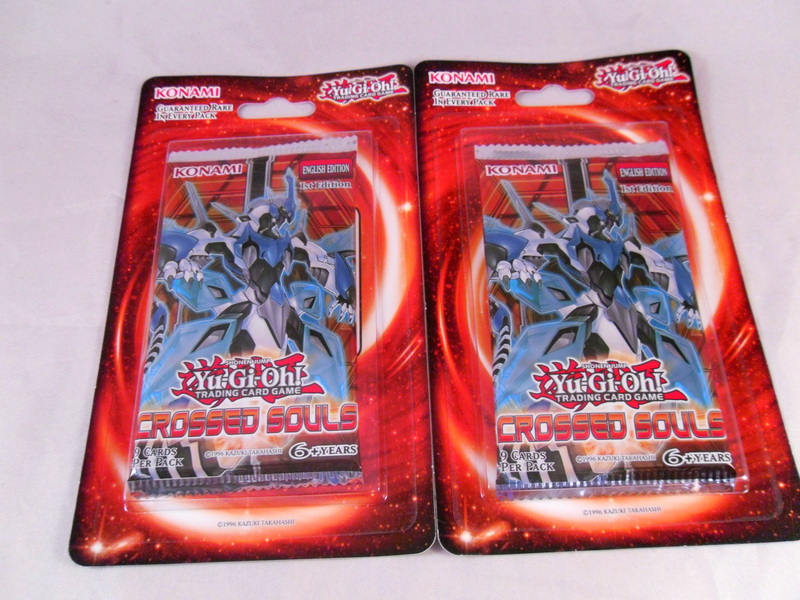 If you overextend in Ygo and don’t win you risk losing your board to an E-Knight, that was a reality of this game for almost 2 years. 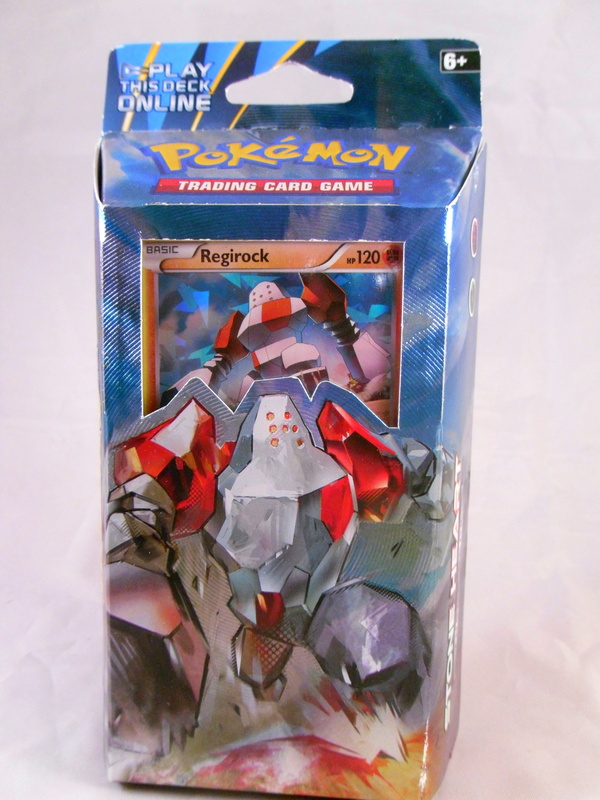 Exciton was at one point a $100 card that has since its inception defined multiple formats. I can understand why it’s leaving, but I don’t agree. Not sure Qliphort actually deserved this. The loss of Towers did not actually hurt the deck, but the loss of Scout makes the deck eons less consistent. BA gets its first ever direct hit. Graff was probably the right hit as special summoning from the deck was the secret to double Dante. Even with him at 1 though I think BA is still better off than most of the decks hit. 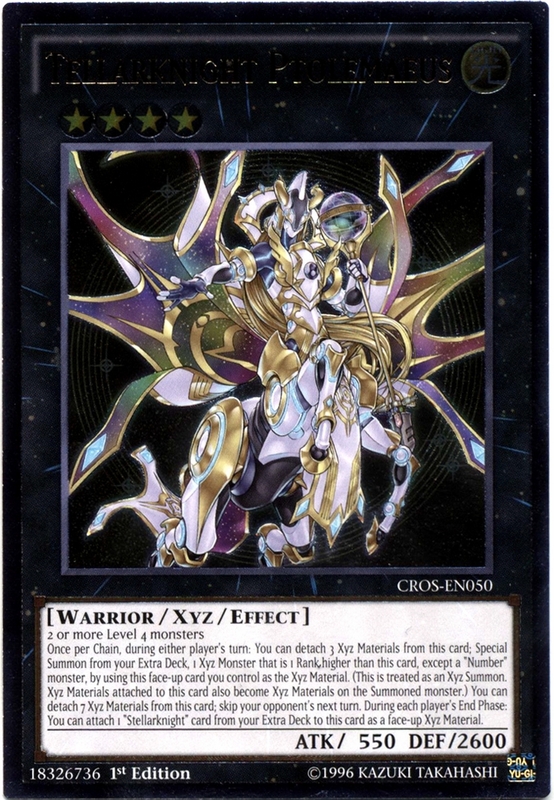 This guy was one of the best cards in the Shaddoll deck. Math-man was probably too strong for this game. He’s foolish burial (for relevant monsters), has decent Atk and draws a card when he dies. It’s a hard loss for Doll players where his effect was anything from MST, set Falco or draw 1 card. 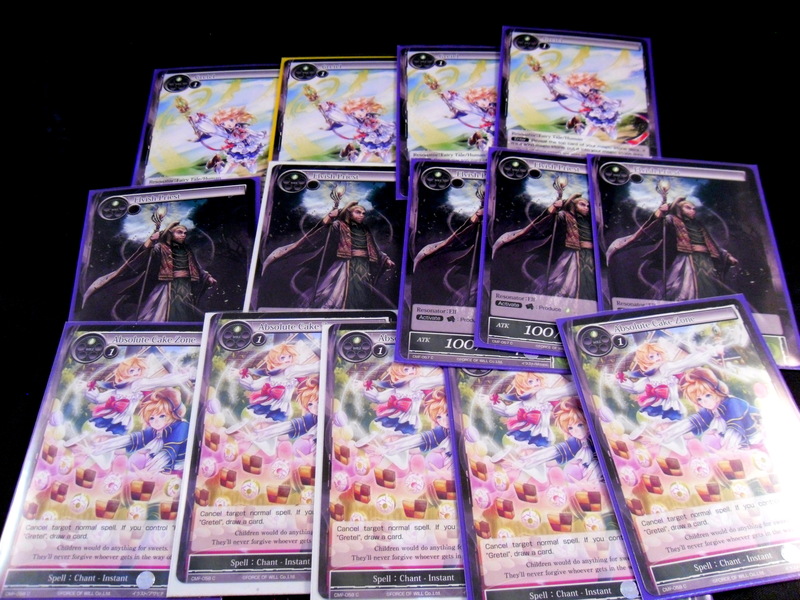 This is not surprising as this hit happened in OCG ages ago. It’s the loss of Shurit that kills Nekroz as it makes these guys far less searchable. Sure Manju/Senju still are at 3, but it’s really not enough. Nekroz’s godlike consistency has been wrecked. Ok admittedly I hate Ritual Beasts. I feel like the deck takes 4 minutes to just search and set 1 card (Steeds), however limiting their most vital combo piece is like tripping the 12th place runner at the track&field meet. Ritual Beast barely topped anything and didn’t deserve the hit. We all saw this coming. Fusing in the battle phase is just to strong. I don’t honestly know if this matters. Some BA player can probably explain it better. I assume it’s a good hit. 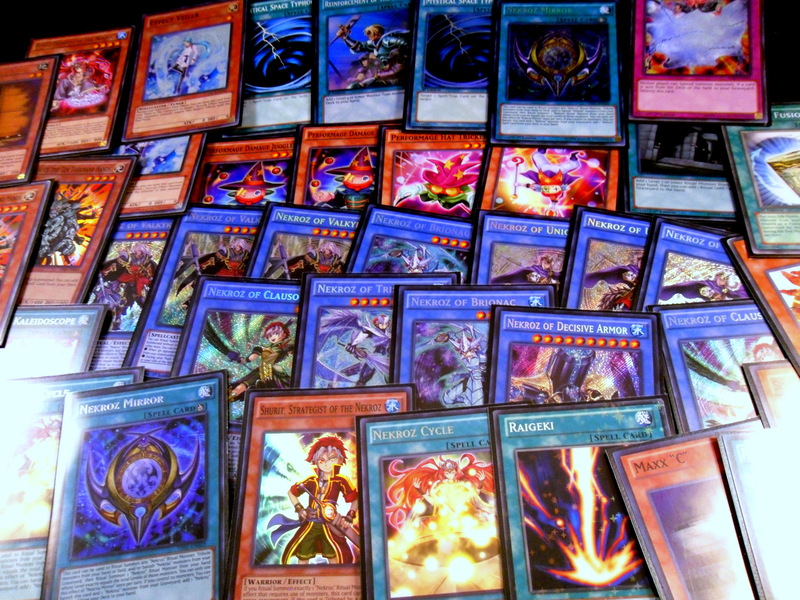 Well that’s the list until Konami gets bored and decides to ravage the format again. I’m not sure Nekroz works anymore, but I’ll keep playing it mostly due toa combination of laziness and a desire to make the $300 I spent building the deck not meaningless. Kozmo, Psyframe and eventually Performage/Performapals are all laughing as they stand poised to dominate the meta over the course of the next few months. Well if you’ll excuse me I have 20 plus copies of Shurit to toss into a funeral pyre. I’ll add a photo down the road of this maybe. I’m not sure why I’m still awake. I had planned to rabble in oppression to sealed product, but I’ve already abandoned that. Just have some limits and avoid potentially mapped or scaled product and you’ll be fine (hopefully). Also remember that the more packs you open, the more likely you’ll get cards of value or that you actually want. 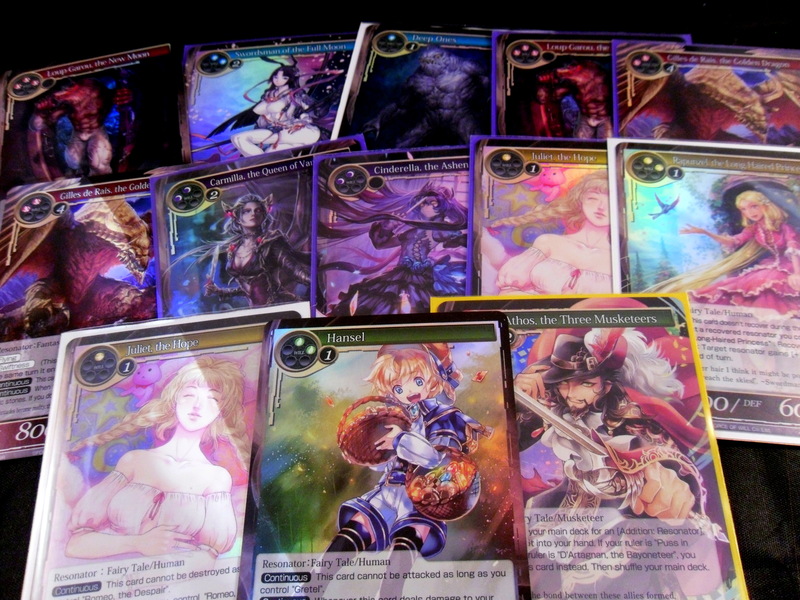 So yeah, without further beating around the bush I just opened another box of Force of Will. 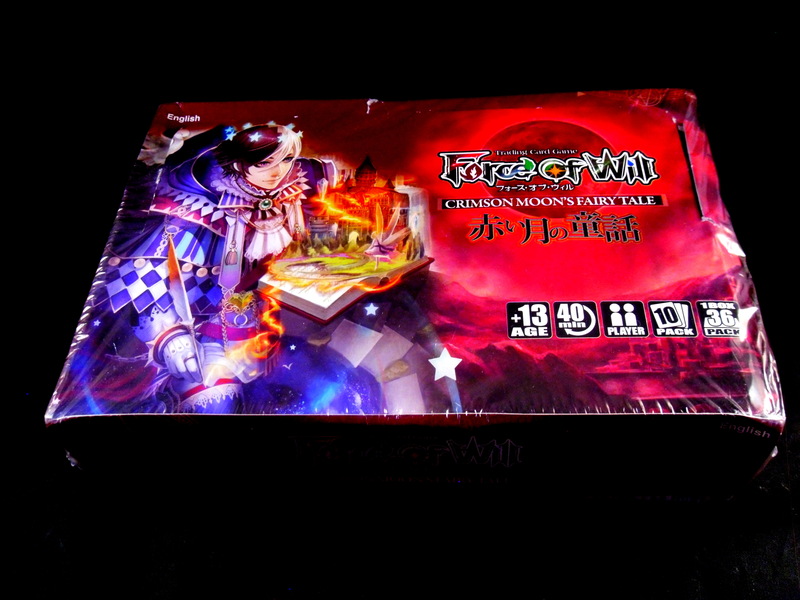 Well this is one of the only Force of Will sets I haven’t opened. 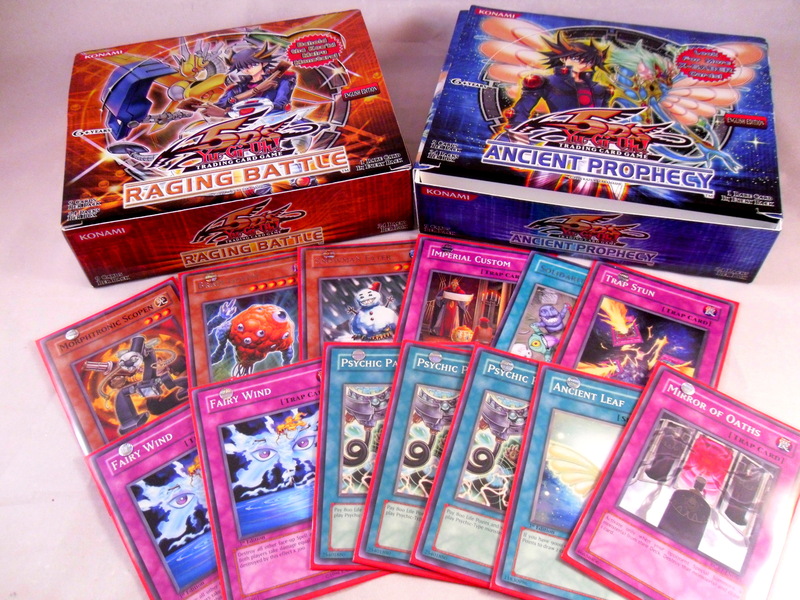 It was sitting next to the set Millennia of Ages, which I never plan to open since it has 0 money cards, but I digress. This was the first set in the Grimm Cluster and had a lot of decent commons/uncommons, one of my favorite factors in boxes (Even Yugioh High-Speed Riders had me interested just because of the Mystical Space Typhoon reprint at common). The time to build new janky decks is here again. While no full art stones were opened I did really enjoy this box. 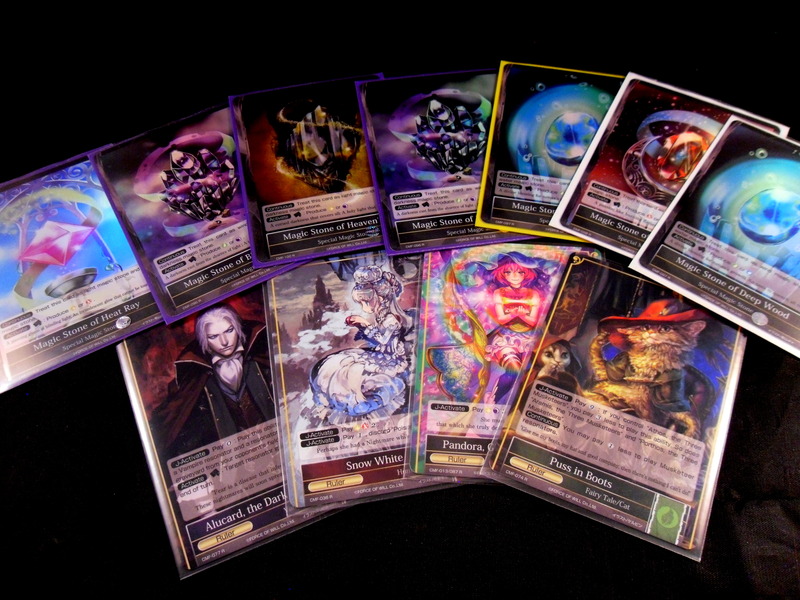 So what happened that was so startling that Yugioh bummed its way into this FoW post? 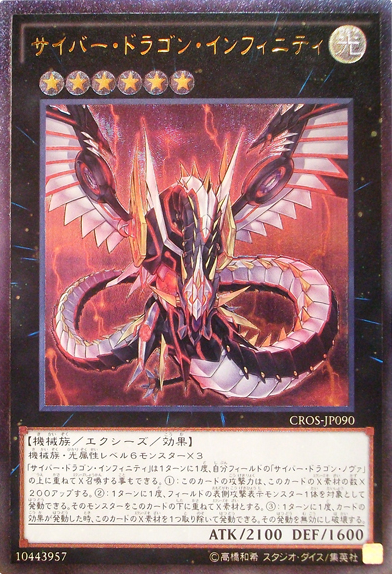 Put simply Cyber Dragon Infinity is broken IF Tellarknight Ptolemaeus remains legal. These are all cards I got from trading with players that I helped get started in Magic and Force of Will respectively. Now would I really quit Yugioh? I mean that depends on what you define as quitting. I’ve long since given up on keeping up with the meta and I seldom follow non-Youtube spoilers (only reason I saw Infinity). I am planing to enter the regional next week, but that’s more for the novelty than anything else. I’ve come to realize that I love playing, building and improving my janky anime-inspired decks more than looking into new cards. I barely play Nekroz anymore, rather I just carry around the rank 4 toolbox and add it to whatever jank deck I happen to have on me. 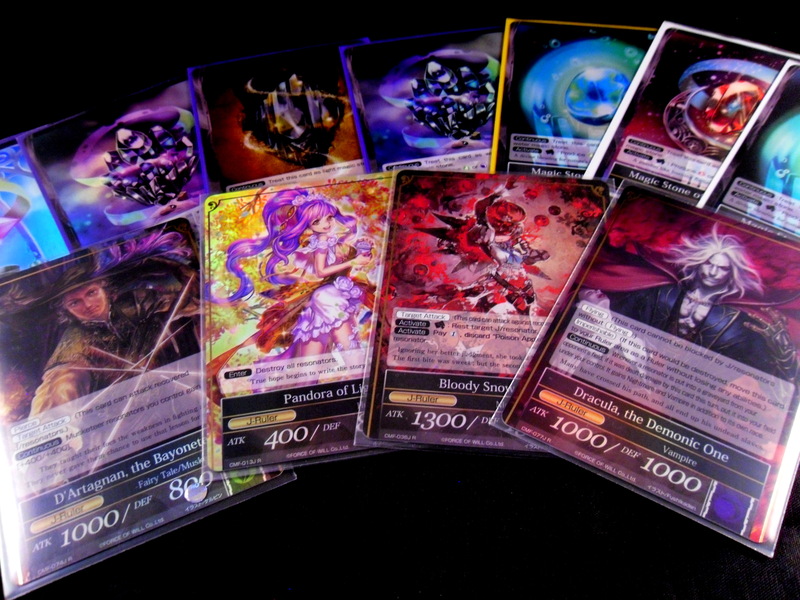 I don’t want to sell the Nekroz deck (for no better reason than liking their art), but I already sold my Burning Abyss and I have no plans to build another meta/expensive deck. 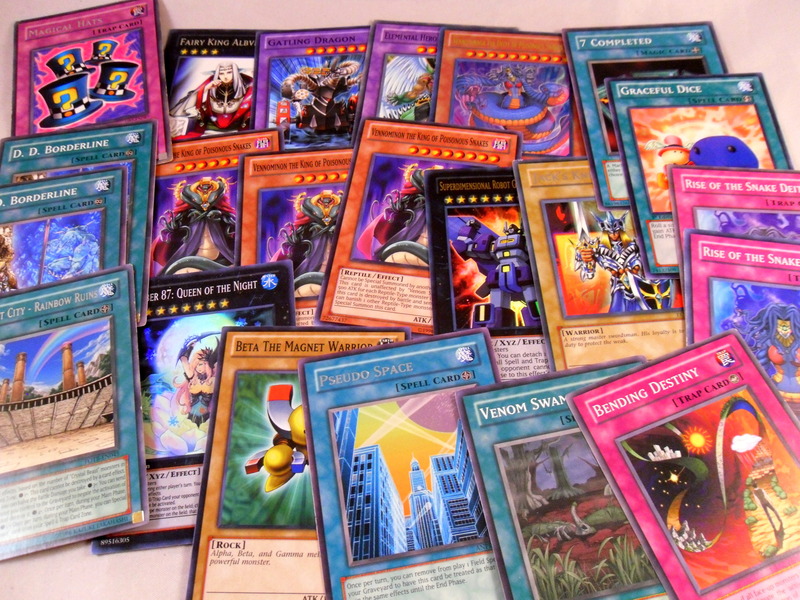 At this point I’m planning to build a Venom deck (or augment my old reptile deck) and a Speedroid deck (because Yugo). So maybe I’ve already quit Yugioh? I’m really not sure. 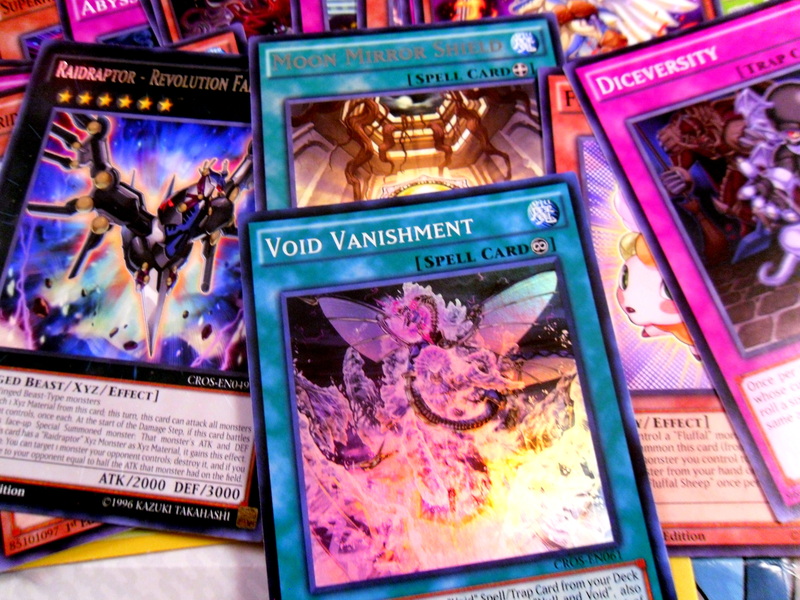 All this being said, Konami could save us all by banning Ptolemaeus before January. I’m not confident they will , but here’s a solemn prayer. 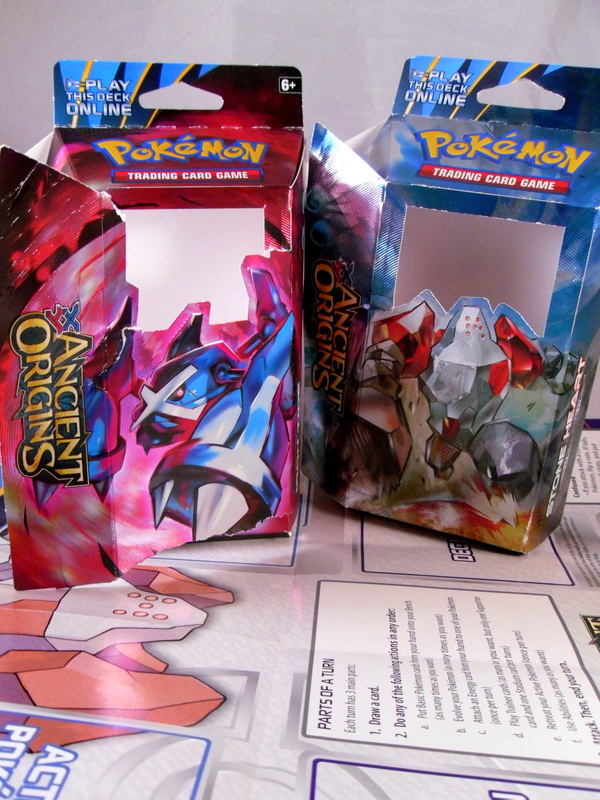 Why did our for Magic the Gathering value end in us playing Pokemon cards? This is a short summary of a quick series of bizarre events that transpired this weekend. 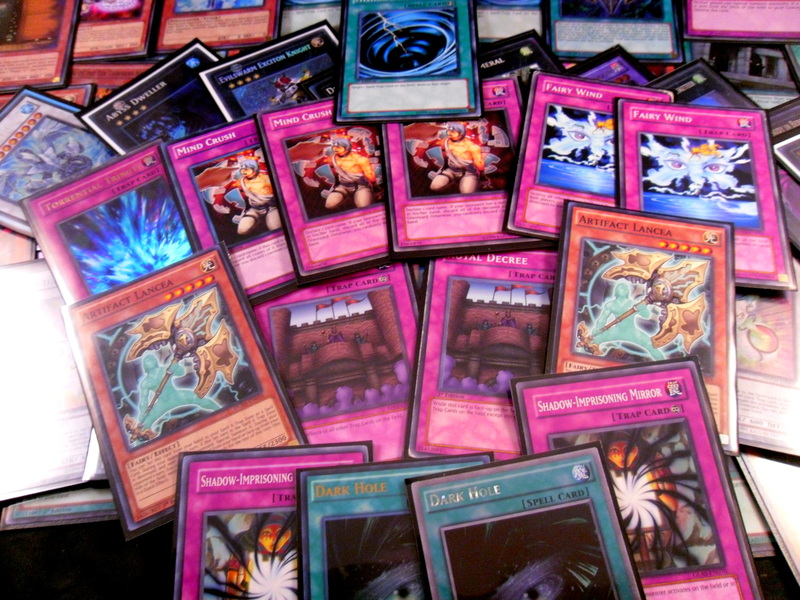 Some of my opinions in regards to card gaming have totally changed recently. However, I’ve only now just realized how much they have. 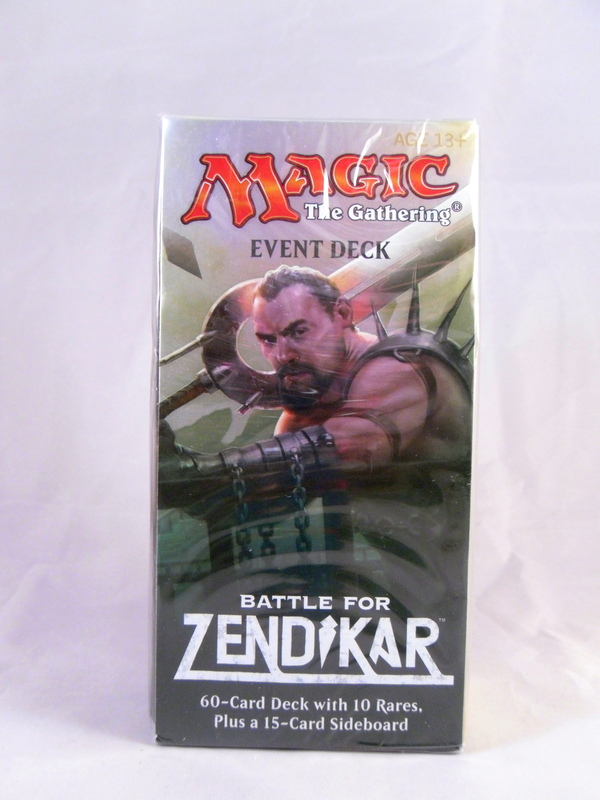 Then we tried to plus off the hype for the Battle for Zedikar fat packs. How? 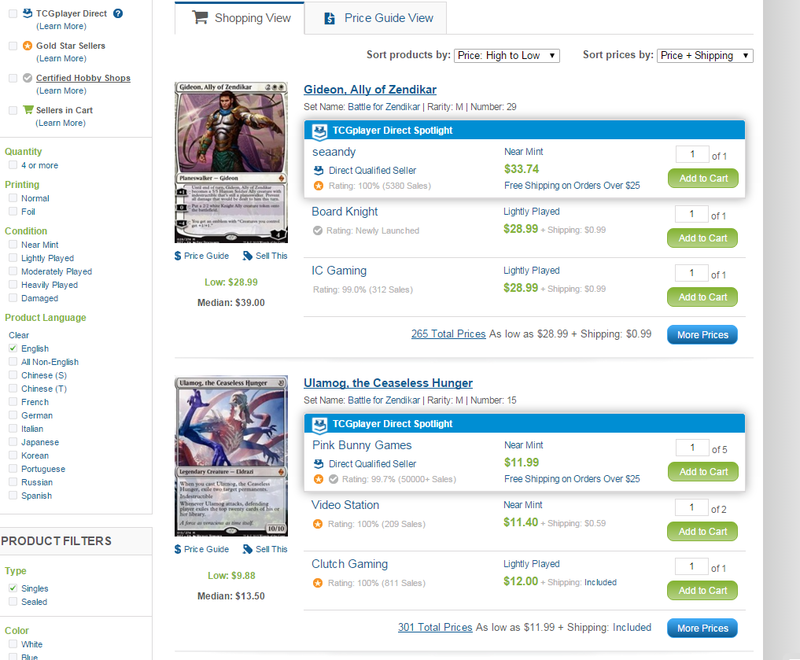 Well everywhere online is charging $50 and up for the sealed packs because people are speculating on the land packs inside. We tried to attack our local Target to get their fat packs for $40. Of course they didn’t have any so in the desperate bid to make the trip worth while we bought some Pokemon starter decks instead. 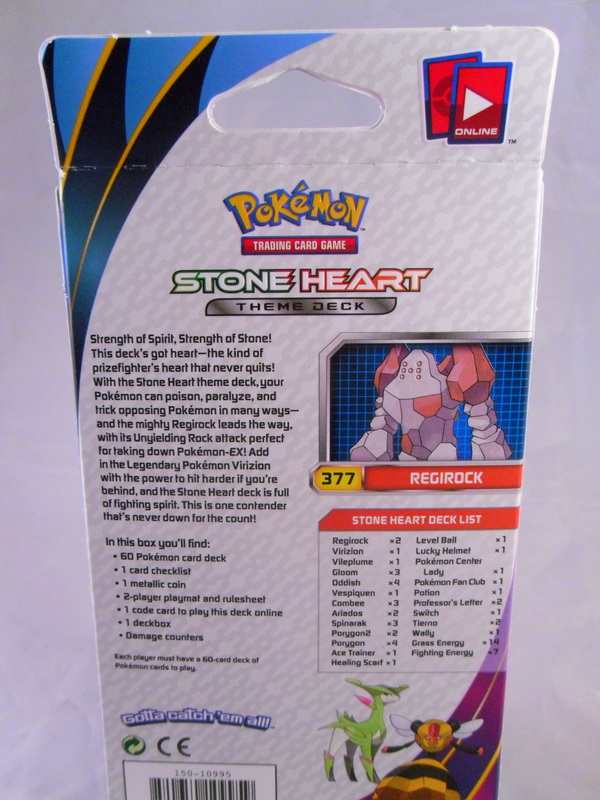 I purchased the Regirock deck for the simple, but logical reason that Vespiquen reminded me of Beedrill. These decks were fairly agreeable in 1 v 1 as we threw 120 HP Regis at each other. 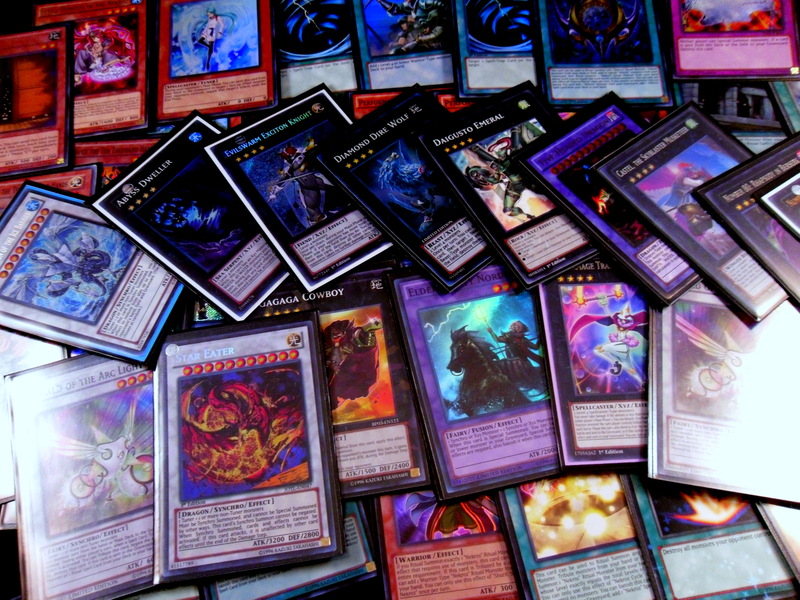 I was also blown away by the power of these cards. Search 2 basic pokemon from the deck? Evolve directly from the deck? Both players shuffle their hands into their decks; you draw 6 and your opponent draws 3?! 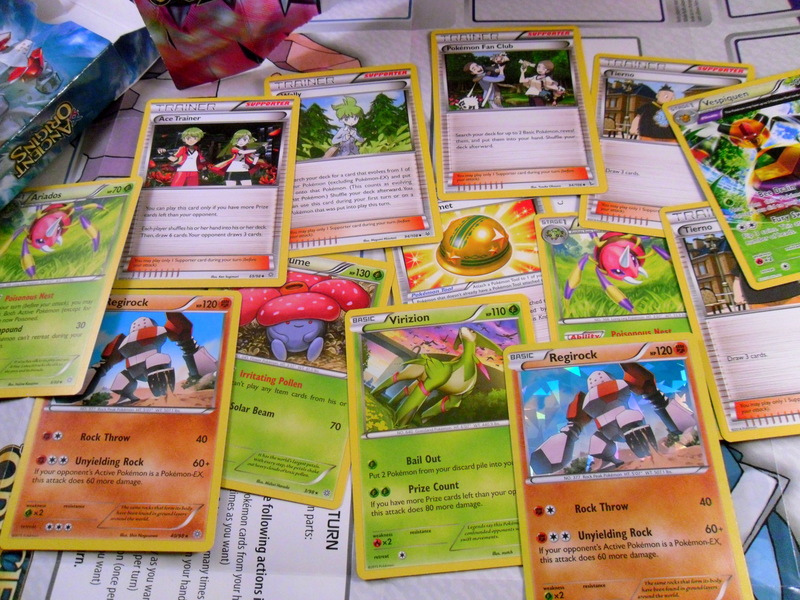 All of these cards caused my 90’s Pokemon card logic to burn out quickly. For the longest time now I’ve avoided buying loose sealed product and this experience only reinforced it. I would recommend buying boxes and packs in bulk, but buying loose packs is usually a mistake. I want to discuss this change of opinion (since only a few months ago I advocated spontaneous pack buying quite gleefully), but it’s getting late and I have classes soon enough. I’ll give a full rationale at a later time. After learning of the Hangarback Walker and Tasigur reprints in the latest Magic event deck I couldn’t resist buying it. So on the one hand Standard has shifted post-rotation making many of these cards less attractive and in some cases more attractive. Whisperwood Elemental has lost its home with the death of Green/Red Devotion, I have no clue where you play it now. Tasigur is a Modern staple now in Grixis Delve decks. Hangarback Walker is still almost always a 4 of in every Standard deck. Warden is a staple in Abzan Aggro. Evolutionary Leap is a Standard sideboard card (and I guess EDH?). So Why Get This Deck? This deck is a great way to pick up multiple high value cards (or potentially high value cards for the future). At the time of this post Hangarback Walker is still $14. That’s about half the cost of this deck (more if you can get it for under MSRP). Hangarback is sadly a Standard staple now and you probably can run it in any deck you build. Also figure a few years from now once this deck goes out of print both Hangarback and Tasigur will likely creep back up in price as both seem to be eternal cards. Anyways, thanks for reading as usual. 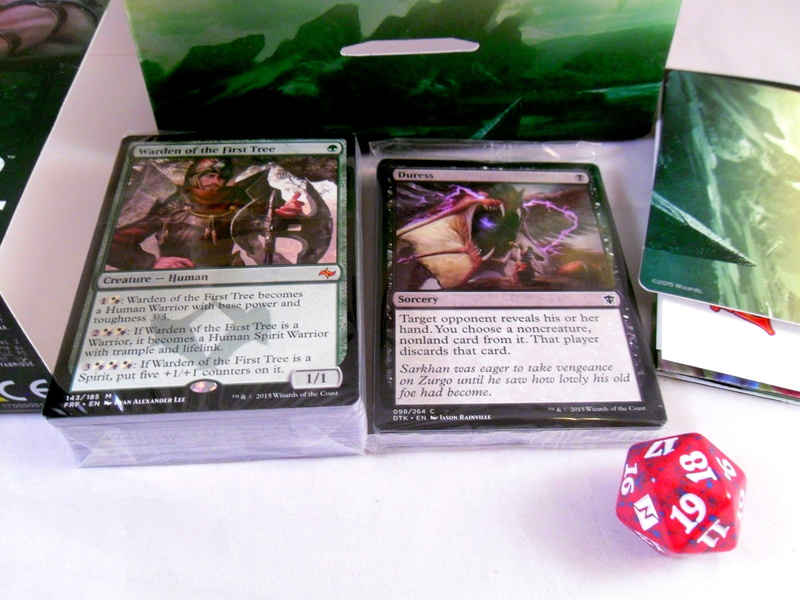 I do recommend this deck to anyone either starting Magic or looking to acquire a few decent cards. It’s 4 AM this time, but there’s no better time to talk about the draft I hosted earlier today. 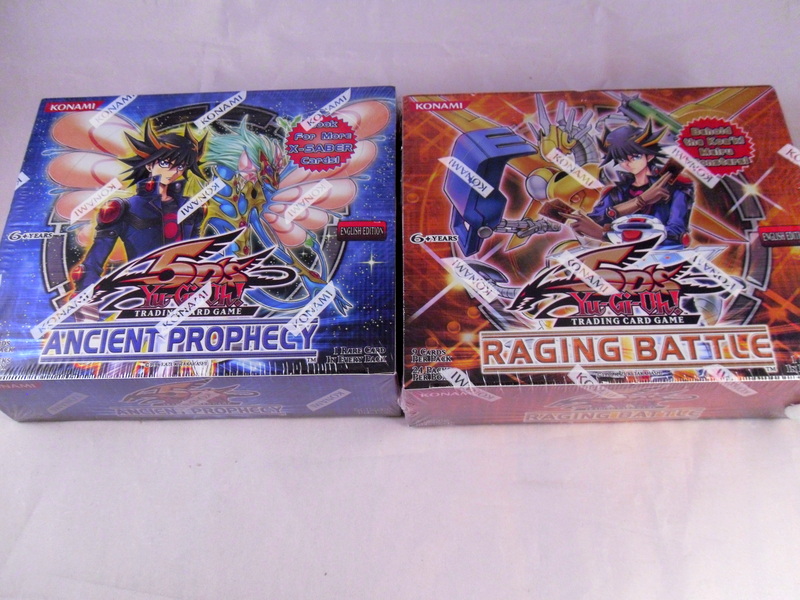 We drafted 2 Yugioh sets Ancient Prophecy and Raging Battle. We drafted 2 packs of same set each rotation and 1 pack in the last round. 2 RB, 2 AP and then 4 of each for the last round. We had 8 drafters (myself included), and we played single elimination with the remaining 8 packs as the prize. The decks were 30 cards at minimum. 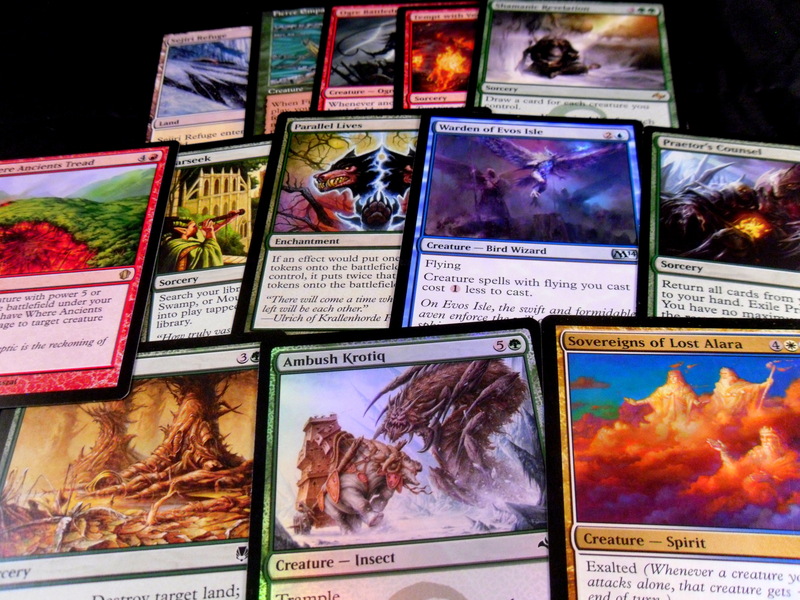 We had alot of new drafters so we had some issues with card numbers, but overall it was ok. 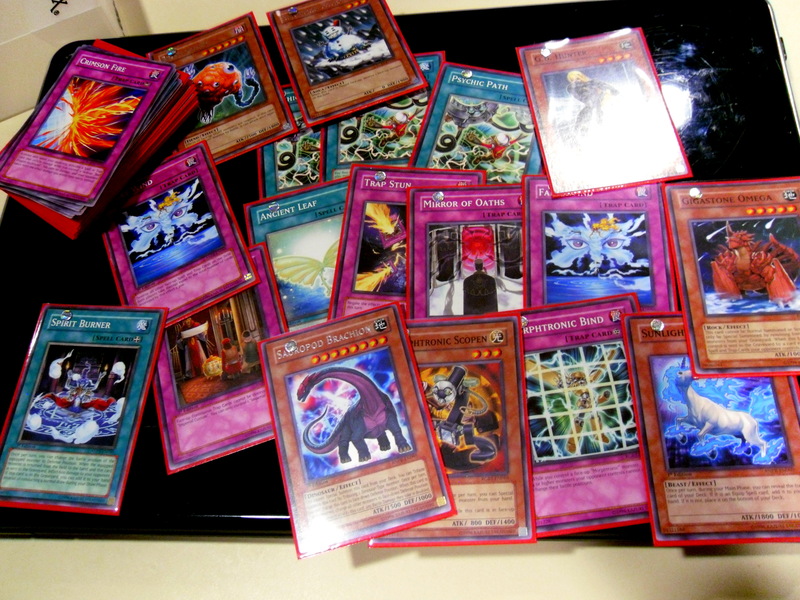 I got sidetracked trying to pull cards of value (Fairy Wind, Trap Stun and Mirror of Oaths. My win-con was supposed to be deck-out, but I won more only games with aggro. I took both games using Snowman Eater. It was a blowout both games. Ok so my opponent found synergy among these crummy cards and blew me out with Mermaid Archer plus Deep Sea Diva. Also I overvalued Battle of the Elements as a removal card. Game 1 Mermail-Apes won in commanding fashion. Game 2 Blacking-Plants destroyed Crimson Sun Ape with Kalut and proceeded to win after that. Game 3 Blackwings blew out Mermail-Apes with Chalice on Mermaid Archer, from that point on it was GG. And so Blackwings-Plants won the event. None of these deck names are official, but all of them make some sense. I really liked how what won this draft was synergy. 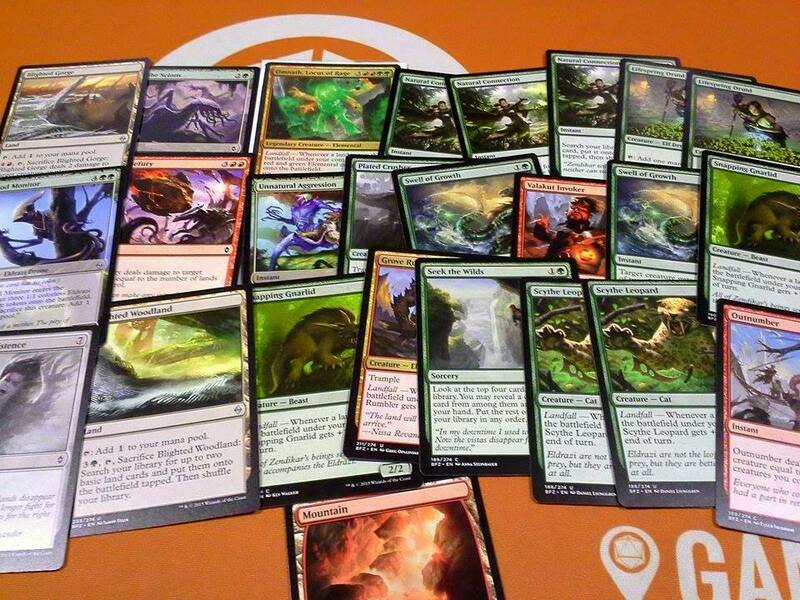 There were multiple unplayable cards in the draft like Crimson Fire, but overall it was a very fun event. This was infinitely better than the Shadow Specters draft I ran a few months ago. I would totally do this again if able.